It rained the day Damien proposed. A gentle falling rain that carried the salt from the ocean and released the scents from the nearby flowering bushes. 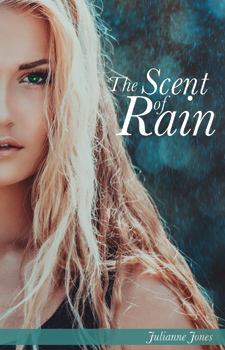 Madi thought he couldn't have chosen a more romantic time or place than the little pavilion beside the beach with the rain providing a veil around them. As he slipped the solitaire ring on to her finger she thought she must be the happiest person alive. Damien loved her! Damien Hamilton was everything Madeline Johnstone could wish for. Tall, good-looking, charming, and with an exciting career, she couldn't believe that he had chosen her. The day of their wedding she believed all her dreams had come true. Little did she know that the nightmare was only beginning. The choices Madi makes will cause ripples that will affect not only her but also her daughter, Jaena, her family and friends, destroy a lifelong friendship, and jeopardise Jaena's relationship with the handsome Mitchell Gallagher. From the author of the Distant Land series.